A new favorite chew toy! 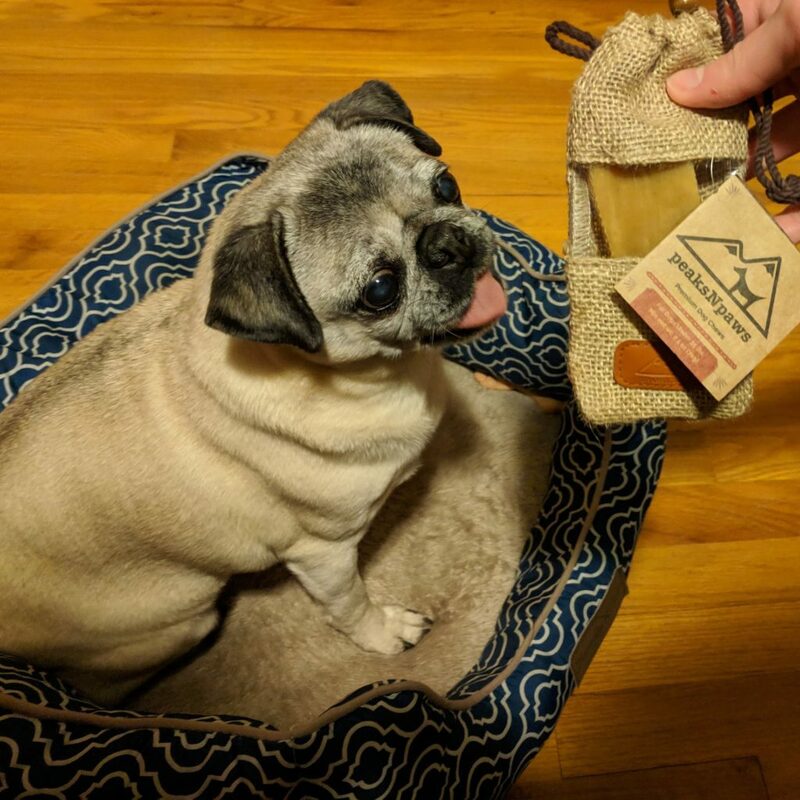 To get your very own surprise box of treats, toys, and pug-themed items, visit www.pugboxes.com! 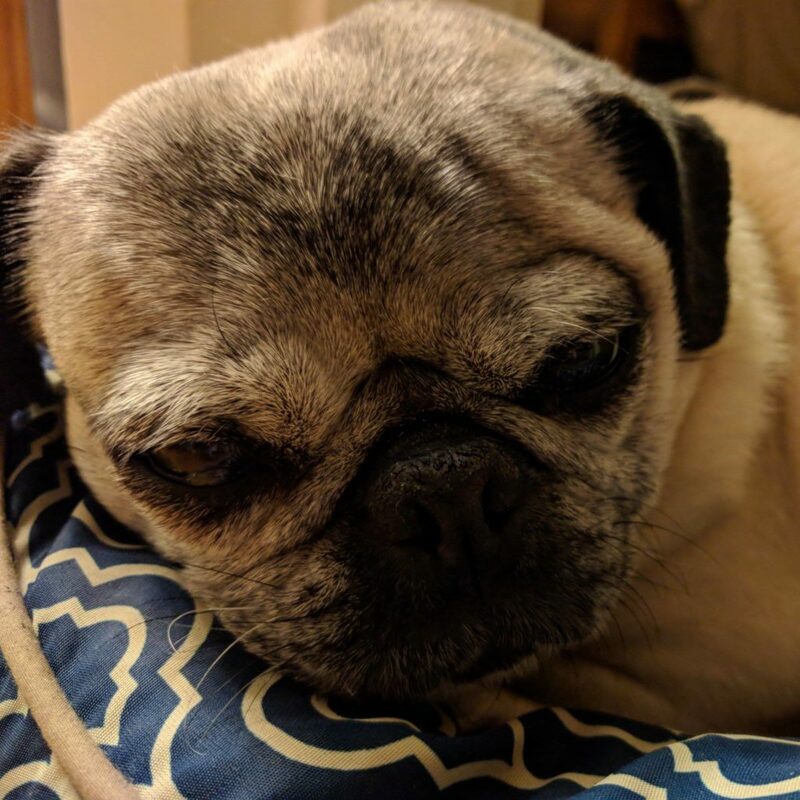 Wishing all of our pug friends a wonderful evening full of sweet dreams, snores, and beauty sleep! Work is over – time for belly rubs! 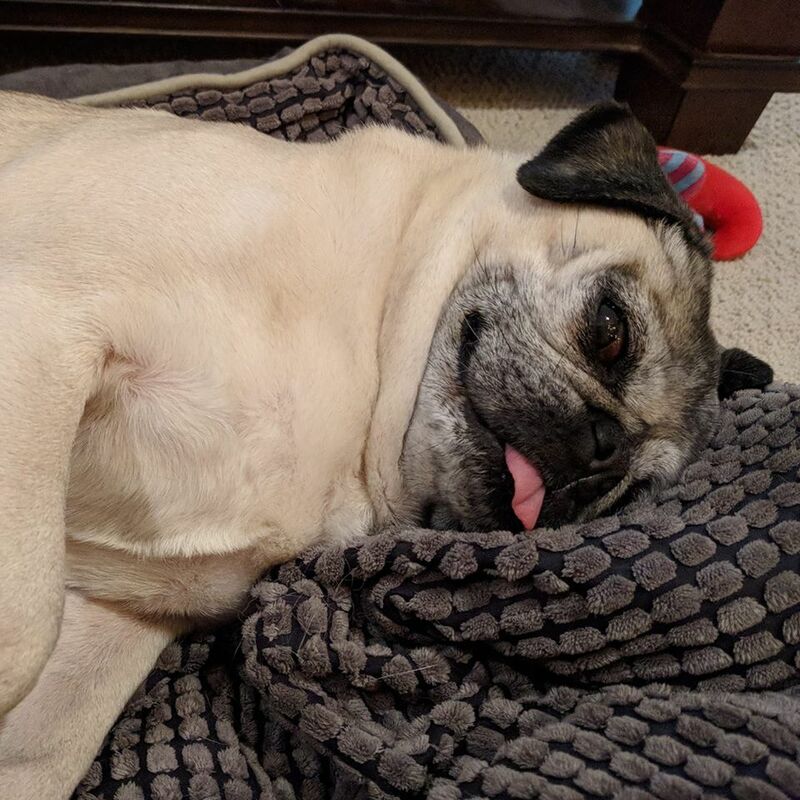 Belly rubs are among Nickie the pug’s favorite things – they are right up there on her list with cheese and naps! 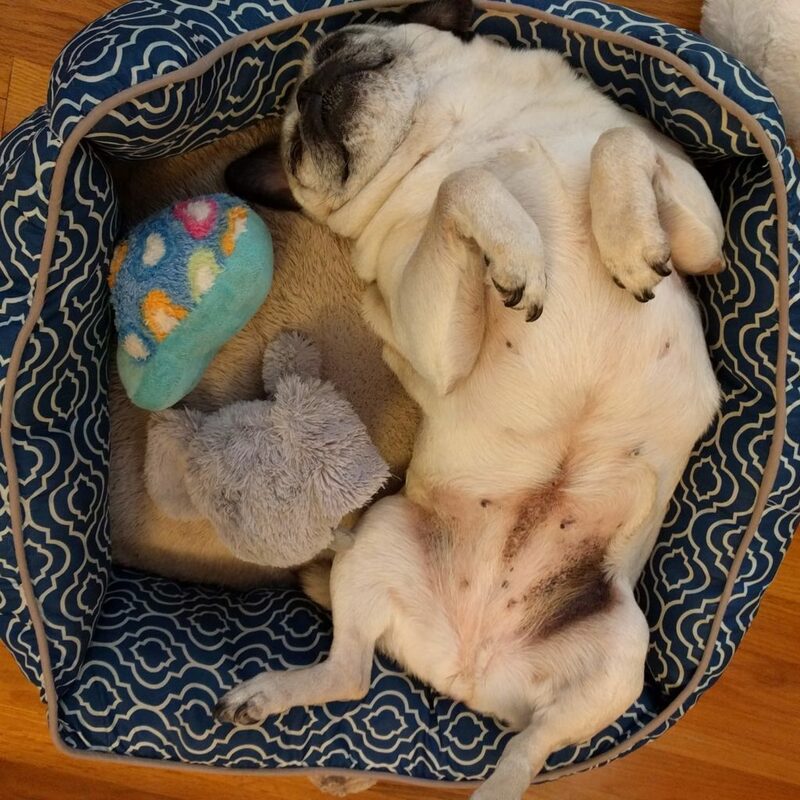 When Nickie wants a belly rub, she lays on her back with her feet sticking out and makes snorting noises until the belly rubs begin. Here she is eagerly awaiting some well-deserved belly rub time! The winter wonderland has arrived! 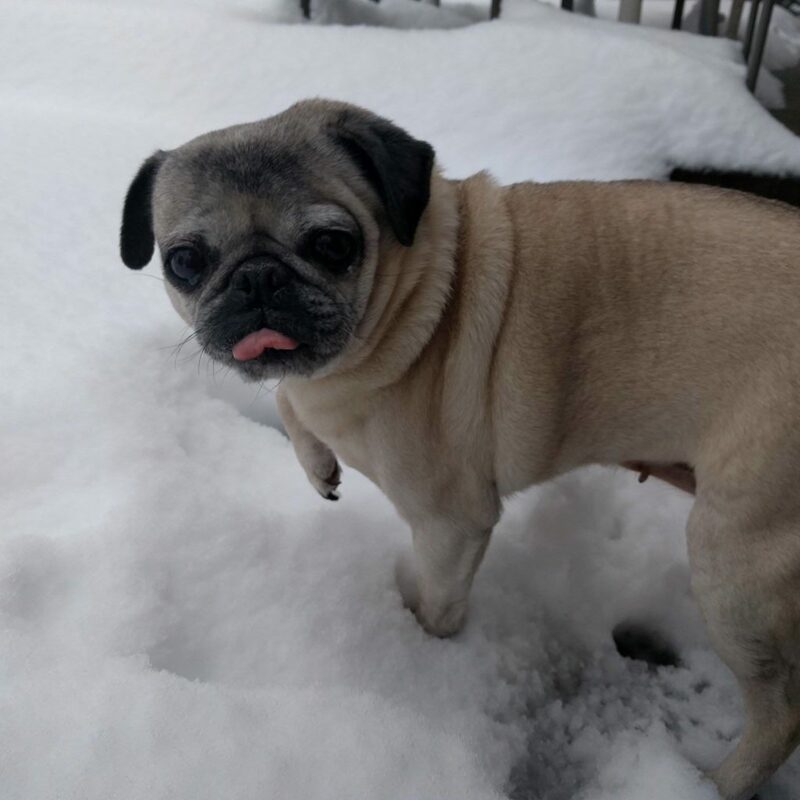 Nickie the pug has only been outside for just a few minutes, and she already has snow starting to accumulate on her back! We don’t get snow that often, but when we do it is a treat! 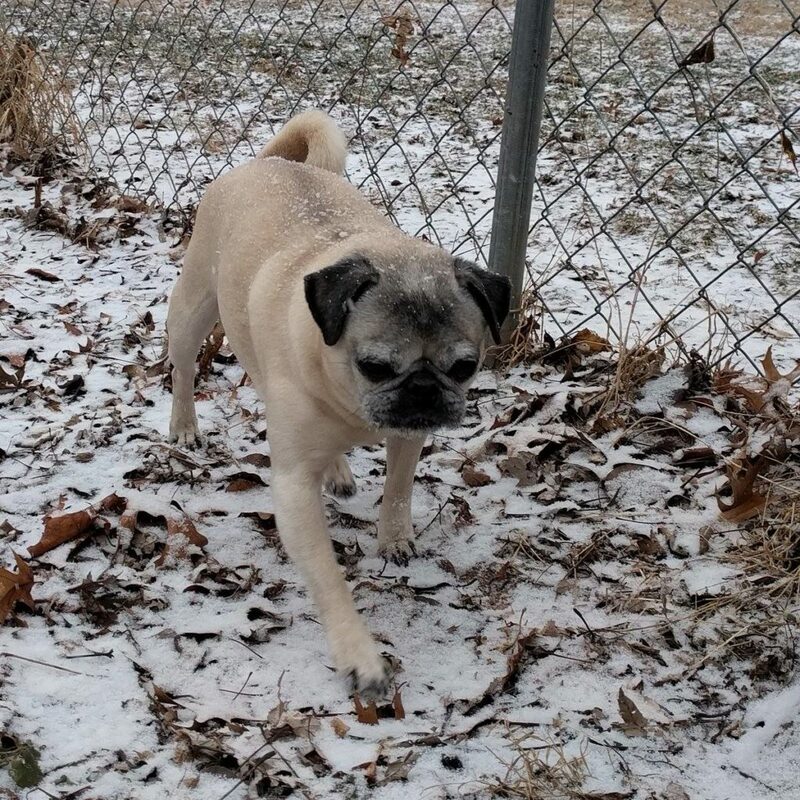 Nickie is having fun exploring her frozen yard. It’s a sleepy Sunday here! Sunday is a perfect day for kicking back, relaxing, and enjoying some down time. 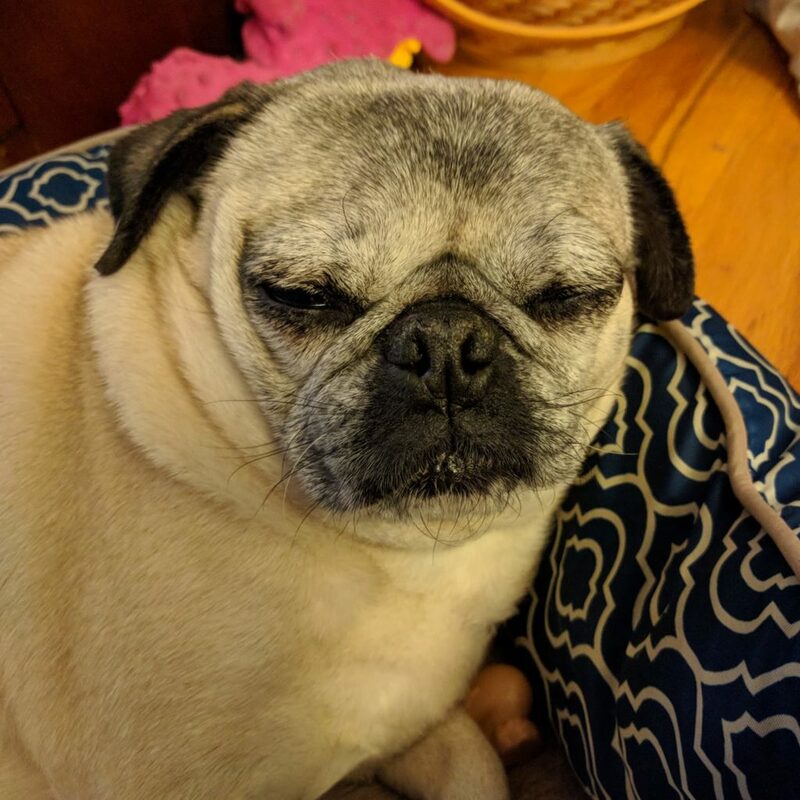 Well, for pugs, I guess that describes most days, but Nickie is feeling particularly sleepy and relaxed this Sunday! We predict a nap is coming up in the near future! After a ruff Monday, it’s time to play! 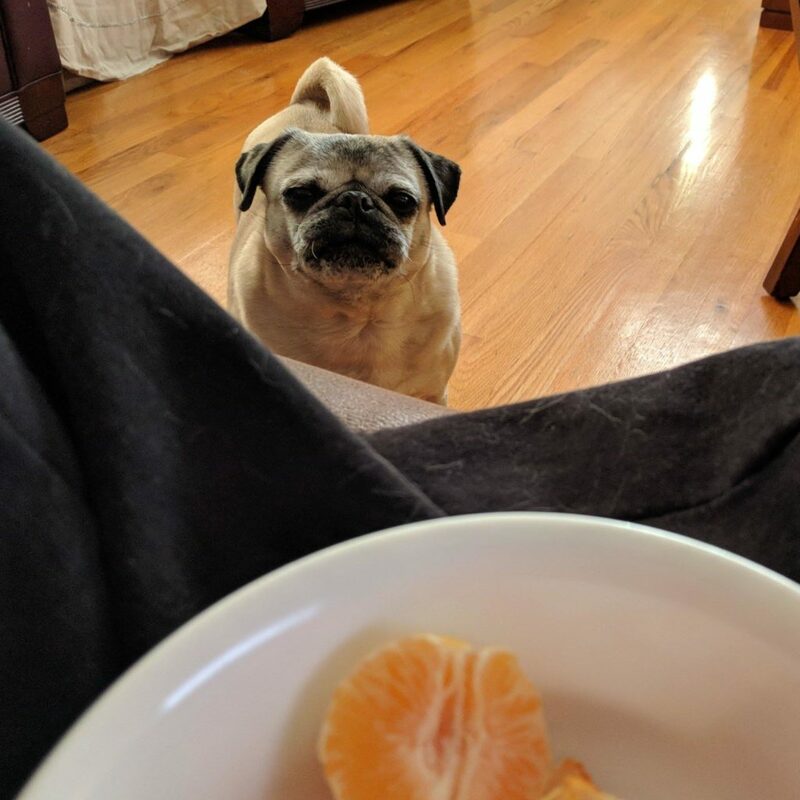 Mondays are our least favorite day of the week, and even Nickie gets the Monday blues sometimes. Today, she is recovering after a busy Monday with some play time fun with one of her new toys! Ready for an after-dinner snooze! 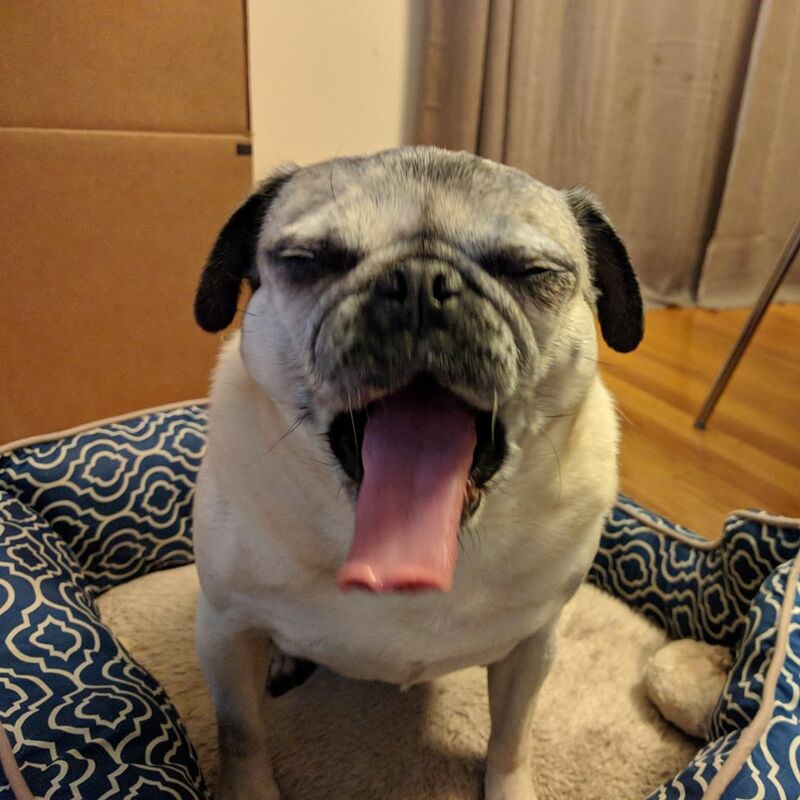 Eating makes us a little sleepy, but Nickie takes this to the next level. She always gets her nap time in after meals, and she is looking particularly snoozy after dinner today!